AppFirst uses unique technology to continuously extract deep data from within every application, component, and running process on every instance in your environment. AppFirst automatically detects your application stack, creates the required scripts to stream your metrics, and delivers a customized dashboard specific to your environment. After you’ve decided which business metrics you want to monitor, it’s easy to use AppFirst to export the data from your application and then correlate it with all of the other server and application data collected. Over time, AppFirst learns what is normal for your business metrics and can alert you when they go over the historical normal thresholds (defined as one standard deviation). AppFirst is a free add-on for all Engine Yard Cloud customers and comes with two-week data retention. Longer term data retention is available for an additional fee. See the AppFirst add-on in Engine Yard Cloud for details of the available plans. When SSO is in place: Your AppFirst account will be created using your Engine Yard account and password. If you select one of the paid plans, the AppFirst charge appears on your Engine Yard Cloud account bill. You do not get a separate bill from AppFirst. If you have a trial Engine Yard account, you must upgrade to a full account before you can set up an add-on. Consider which applications and environments need AppFirst monitoring, and which plan is right for you. You should be ready to upgrade your environment (if it has not been upgraded since the Feb 6th, 2013 stack update). Your instances need to be provisioned before you activate the AppFirst add-on. You need to sign up and configure the AppFirst add-on. Navigate to this URL: https://cloud.engineyard.com/addons/appfirst. Review the add-on details page to learn more about the AppFirst service. Click the Set it up tab. This opens a new tab/window and takes you to the AppFirst website. Note: In the near future, single sign-on (SSO) will eliminate the move from the Engine Yard UI, to the AppFirst UI, and back (that is, the next 3 steps). Until SSO is in place, remember that you need to return to Engine Yard Cloud to complete the configuration. Click Get Started For Free to accept the terms and conditions. This sets up your AppFirst login and returns you to the Engine Yard website. On the AppFirst Set it up page, select the environment you want to extend with AppFirst monitoring. Click to enable the AppFirst add-on service for the selected environment. A message appears indicating that AppFirst is activated on the environment. Click on the environment name link to go to your application environment in Engine Yard Cloud. Click to ensure you have the Feb 6th, 2013 or later stack update. For more info, see Upgrade an Environment. This installs the required AppFirst collector functionality. Note: If you have multiple apps/environments, then multiple selections appear in the Activate list. You need to repeat the last 4 steps for each environment that you want to extend with AppFirst. Note: Your AppFirst add-on charges (if any) appear on your Engine Yard Cloud account bill. You do not get a separate bill from AppFirst. After an environment has been configured and updated for the AppFirst add-on, verify the set up. Note: It can take up to 10 minutes for your servers to appear in AppFirst. You can access your AppFirst account directly (as described below) or from within Engine Yard Cloud (as described in Verify AppFirst configuration) to view monitoring details about your application and its servers. 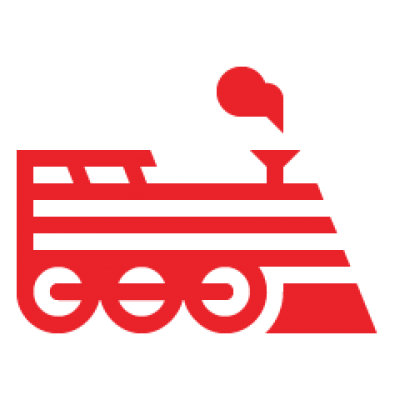 Navigate to this URL: engineyard.appfirst.com. The Workbench overview shows summary level information on servers, applications, alert history and status. Click the resource name/ID or metrics to view more details. Select from the Workbench menu to view details on alerts, apps, and servers. Select the Dashboard button to set up your own dashboards, which allow you to view health check data for apps and business metrics. Operations style dashboard widgets display time series statistics about selected metrics. Select the Browse menu to view a selected resource: either a server, a process, or an application (a group of processes). Browse allows you to observe and compare trends in your data over time. Select the Correlate menu to overlay time series data from multiple sources. This allows you to see a time-series graph of what is happening with applications on any server.